In this article I will share my thoughts on the Cocoon Grid-It Organizer that I use to organize important bike tools that I store in a set of BERA CLIC+ toolboxes It was the Velonews article “A look inside pro mechanics’ toolboxes” that pointed me to the Cocoon Grid-It Organizer following the footsteps of Joe Devera, mechanic of the Cannondale-Cyclocrossworld.com team. What is the Cocoon Grid-It Organizer ? I’ve purchased two Cocoon Grid-It Organizers in size L, that measure the following dimensions 38.1 cm × 1.o cm × 27.9 cm (W x D x H). As you can read on the Cocoon Innovations website the Cocoon Grid-It is a versatile organizer, which is marketed as an insert for a backpack or messenger bag. The simple but innovative design helps you to organize cables and small parts the way you want, without having a fixed configuration. My personal usage scenario is slightly different. 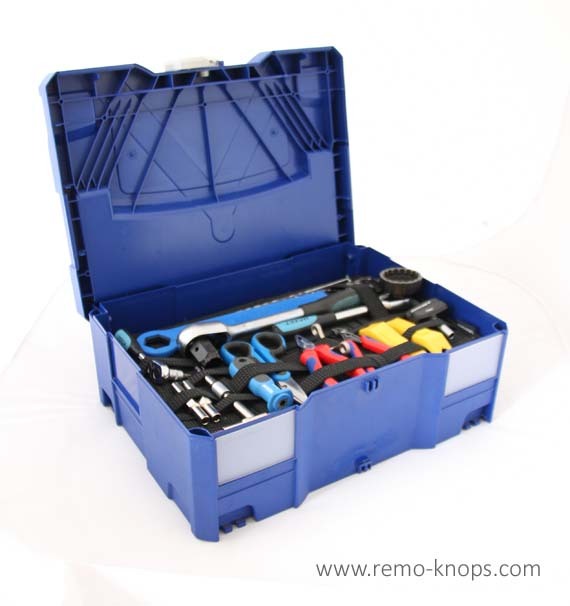 I use a set of BERA CLIC+ toolboxes to store important bike tools and spare parts of my road bikes. After reading the Velonews article “A look inside pro mechanics’ toolboxes” I purchased two Cocoon Grid-It systems to keep my important bike tools organized. 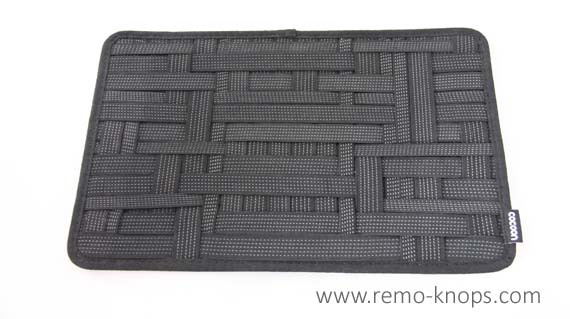 The Cocoon Grid-It has a random grid of horizontal and vertically elastic bands, that have 5 lines of rubber woven into the surface of the elastic straps. This rubberized surface of the elastic bands helps to keep things firmly in place (without objects escaping the tension of the elastic bands). The backside of the Cocoon Grid-It contains a pocket in which you ca store paper documents or other flat items. This pocket is closed with a zipper. The backside furthermore contains a loop, to quickly pull out the Cocoon Grid-It system from a backpack or messenger bag. I agree that the Cocoon Grid-It is probably the most versatile organization system available. The price point of the big organizer CPG20 is €24,95 and the smaller Grid-It CPG8 costs €17,95. These price points are fair given the value, quality and innovation you get. I can recommend the Cocoon Grid-It to everyone who wants to keep organized in many usage scenarios. If you live in the Netherlands you can order the Cocoon Grid-It in fonQ webshop. Hey!, I found this information for you: "Cocoon Grid-It Organizer – Multi function to the max". 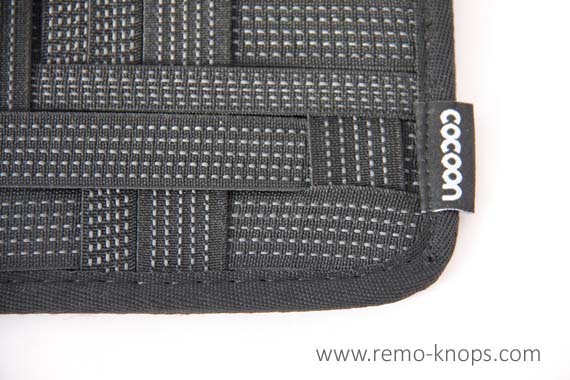 Here is the website link: https://www.remo-knops.com/5056/cocoon-grid-it-organizer-multi-function-to-the-max/. Thank you.